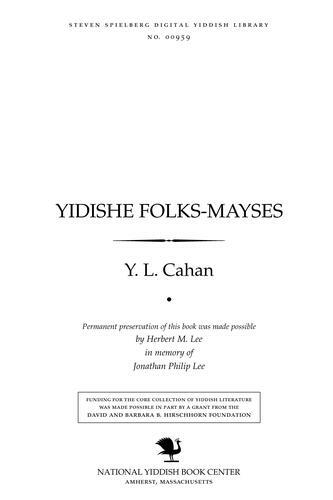 1 edition of Yidishe folḳs-mayses̀ found in the catalog. Add another edition? 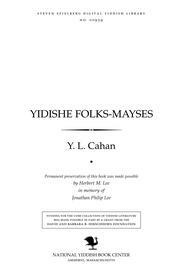 Published 1940 by Yidisher ṿisnshafṭlekher insṭiṭuṭ, filologishe seḳtsye in Ṿilne .